A great relaxing atmosphere with attentive service. 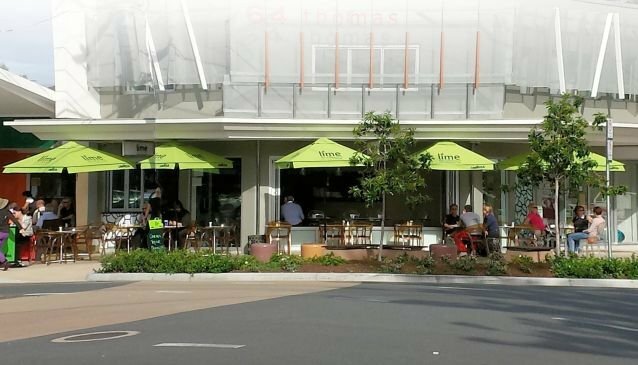 Located on Chevron Island and an easy walk from central Surfers Paradise this is a great Cafe with excellent food and very friendly service. This is a very popular Cafe with the locals and is a great way for visitors to enjoy a local Cafe and excellent food. The Pizzas are of special note and are cooked in a genuine Italian wood fired oven. Lime are also open for dinner on Friday and Saturday nights and again the menu is both tempting and caters for all tastes. This is also a great Cafe for Breakfast which is one of their specilaties. A great cafe in every sense of the word.